Get to Know RS&I. We're Here to Help Small Businesses Succeed! Knowledge is Power. Stay Informed. Sales tips, industry news, RS&I events, and much more. It was that time of year again. 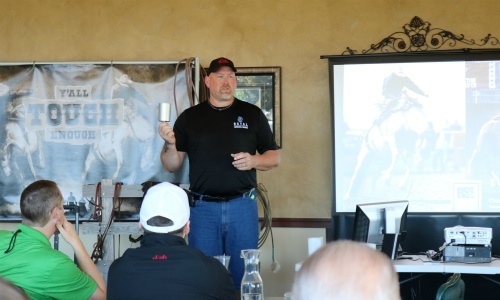 Last week, we held our annual national sales meeting in beautiful Idaho Falls, Idaho. 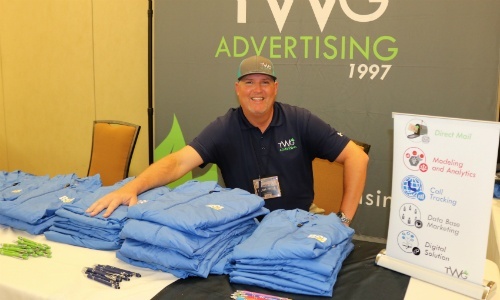 It's a noteworthy event because it's the only time each year we're able to get our entire sales team from all nine of our locations together with our corporate partners. Folks fly in from all over the country to be here. We learn a lot and we play a lot—all for the purpose of "sharpening our saws" and building stronger relationships. 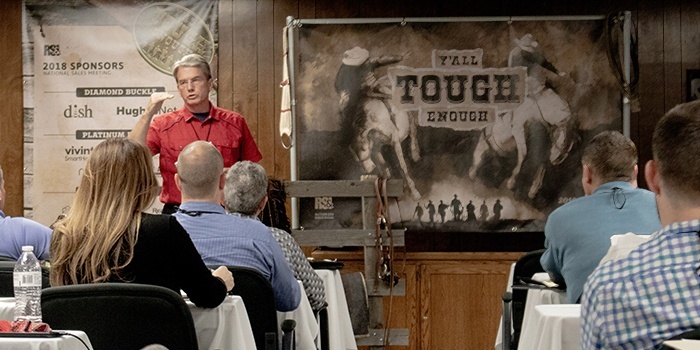 The theme this year was "Y'all Tough Enough", which gave us an entertaining western style to each of the individual events over the course of four days. It also reminded us that we have what it takes to help our large network of small businesses succeed. A big shout out and a thank you goes to our partners for their support of this annual gathering. Every one of our partners was represented well. 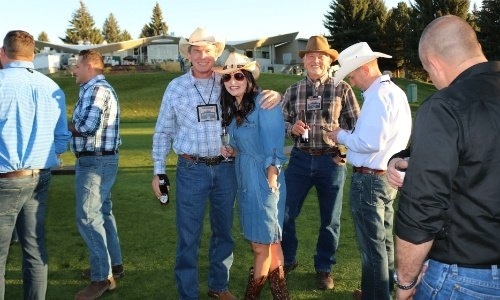 It was great to see many of them get dressed up in their western outfits to go along with our theme. 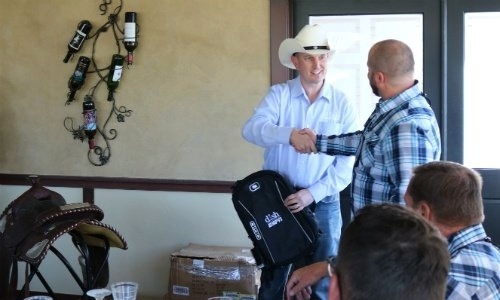 A lot of prizes were given out to various members of our sales team to reward them for their efforts over the past year. Our guys love getting recognized! On the second day, we held a meet and mingle type of dinner at the local country club with everyone. It was a great chance to eat some delicious food and play some western games at the top of the driving range. 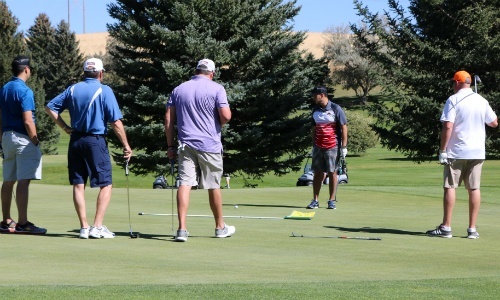 The golfing is definitely the highlight of the week as teams of four spread out on the course to play a traditional scramble-style tournament. All eighteen holes are played as the different teams make their rounds. This is one of the times when relationships are forged and brainstorming takes place in a natural way. Plus, the weather was beautiful this time of year! It can't be all fun and games, right? There was plenty of opportunities to learn and grow together. 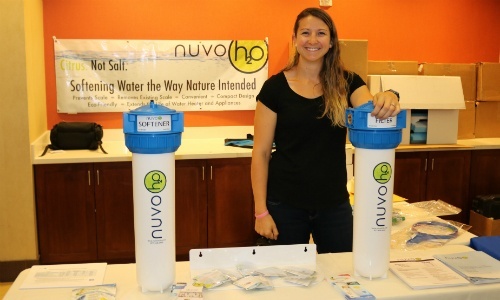 Our partners provided impactful training to help our sales team know how to help our authorized retailers build successful businesses in their local communities. 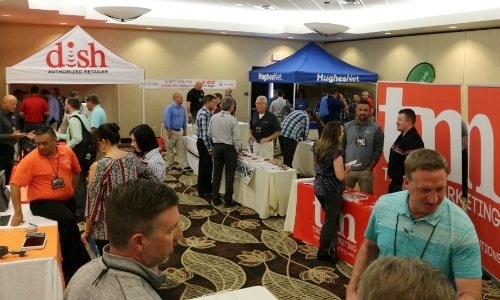 Representatives from DISH, HughesNet, Vivint Smart Home, CenturyLink, NuvoH2O, Ooma, and all of the associated products and accessories did an excellent job at presenting to our sales team and answering all of their questions. 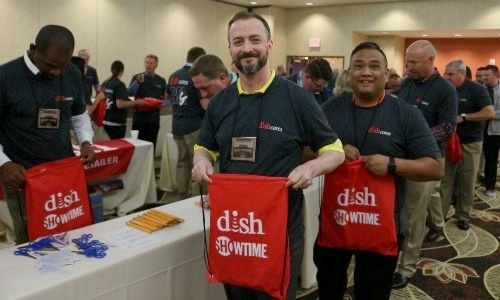 The most heartwarming moment for all of us was when we teamed up with DISH Network to build over 100 school supply kits for the Idaho Falls Humanitarian Center. The kits included scissors, pencils, colored pencils, erasers, rulers, notebooks, glue sticks, and pencil sharpeners. Everybody chipped in and got the project done in under an hour. It put a lot of smiles on everyone's faces to know we were helping kids have access to school supplies—especially since these kids can't afford the cost. The time to truly show off the products all happens during the trade show. Displays are set up for each of the partners and our sales team interacts with all of them in a face-to-face scenario. 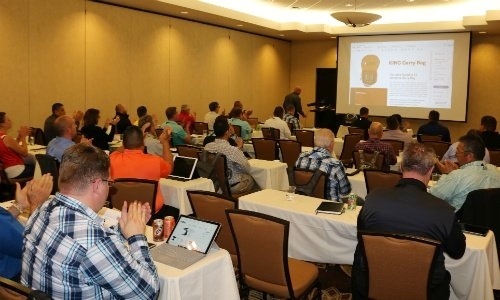 All of this effort is to help our sales team become the best and most effective professionals possible. We enjoy helping small businesses grow by becoming authorized retailers with any combo of the products and services we offer throughout the United States. 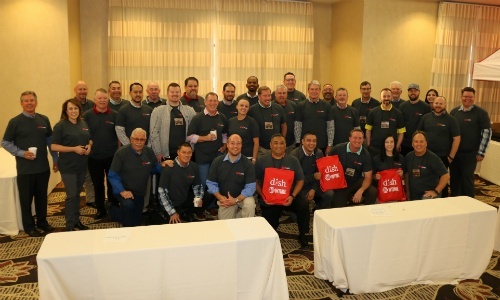 We hope you got a sense of who we are by checking out what happened at the RS&I 2018 National Sales Meeting. Reach out to us if you have any questions about starting a business or adding any of our services to your business portfolio. © 2019 by RS&I Inc.
marks are the property of RS&I Inc.